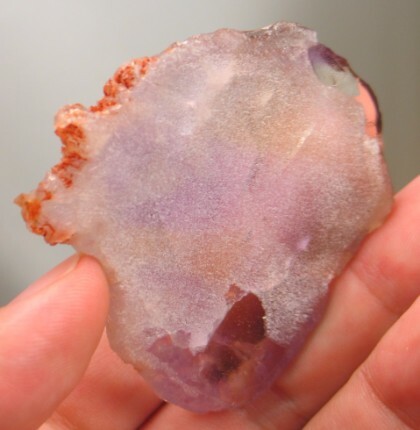 This is a unique find, as this material was originally sourced in the 1970s. It has been polished on one side and frosted on the other really allowing the color zoning to shine. The flat shape makes it easy to use in body layouts. However, it would also make a stunning one of a kind pendant! 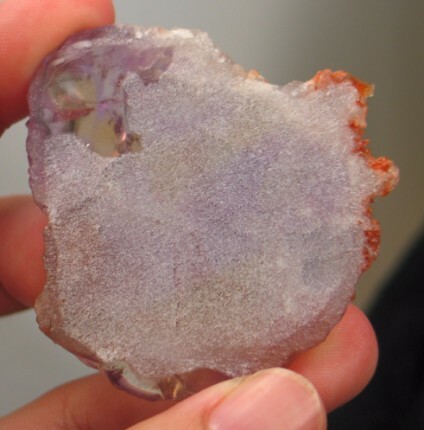 Ametrine is a rare mix of purple amethyst and gold citrine which is found in Bolivia, caused by different oxidation states of iron impurities in quartz. 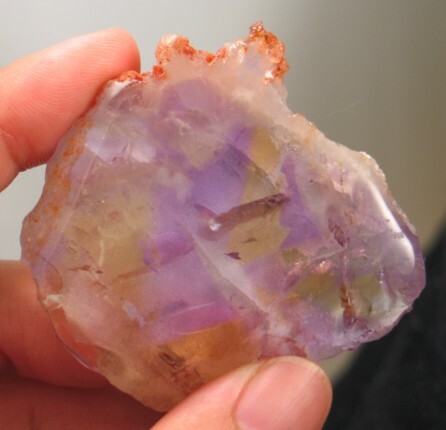 Although ametrine embodies the energies of citrine and amethyst, their combined properties create an energy that is quite powerful and works to deep within the emotional bodies. 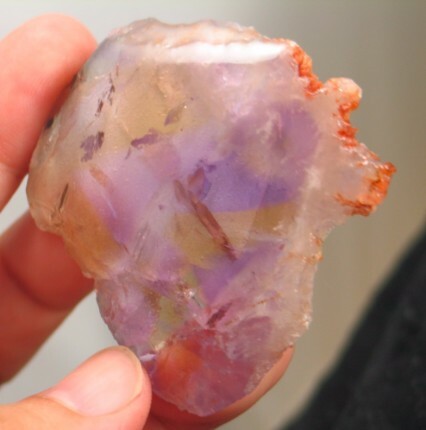 Ametrine helps balance the duality of your masculine and feminine natures. They provide a strong connection of the physical and spiritual self allowing for greater exploration into who you truly are. It finds the hidden places within, facets of yourself you may have shut the door on and brings them out in the open again. These facets may be beliefs or abilities that you put aside due to family or social pressures. 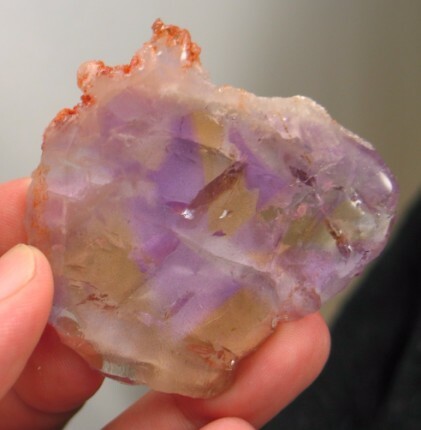 Ametrine teaches you to be true to yourself. Ametrine is also has a powerful manifestive energy. It dispels negativity from ones energy field and stabilizes it, releasing blockages in all bodies, physical, emotional, mental, and auric. This assists with release and restoration of normal function assisting you to break of bad habits and reduces cravings. Ametrine is good in body layouts and safe as an elixir. It also makes a wonderful soothing massage tool in the form off eggs, spheres and wands.